Seen any walnuts in your medicine cabinet lately? According to the Food and Drug Administration, that is precisely where you should find them. Because Diamond Foods made truthful claims about the health benefits of consuming walnuts that the FDA didn’t approve, it sent the company a letter declaring, “Your walnut products are drugs” — and “new drugs” at that — and, therefore, “they may not legally be marketed … in the United States without an approved new drug application.” The agency even threatened Diamond with “seizure” if it failed to comply. The number of people logging on to the website of Diamond Foods was miniscule. I suspect that before the FDA took this draconian action, hardly anyone even knew this website existed. What the public hears loud and clear, however, are endless advertisements for artery-clogging junk foods. Fast food chains relentlessly promote their 99-cent double-cheese burger as being bigger than their rivals. These advertisements induce many consumers to salivate for these toxic calories that are a contributing cause of coronary artery disease. Yet the FDA does not utter a peep in suggesting that their advertising be curtailed. On the contrary, the FDA has issued waves of warning letters to companies making foods (pomegranate juice, green tea, and walnuts) that protect against atherosclerosis. The FDA is blatantly demanding that these companies stop informing the public about the scientifically validated health benefits these foods provide. The FDA obviously does not want the public to discover that they can reduce their risk of age-related disease by consuming healthy foods. They prefer consumers only learn about mass-marketed garbage foods that shorten life span by increasing degenerative disease risk. “Frito-Lay® snacks start with real farm-grown ingredients. You might be surprised at how much good stuff goes into your favorite snack. Good stuff like potatoes, which naturally contain vitamin C and essential minerals. Or corn, one of the world’s most popular grains, packed with thiamin, vitamin B6, and phosphorous—all necessary for healthy bones, teeth, nerves and muscles. Wow! Based on what Frito-Lay® is allowed to state, it sounds like we should be living on these snacks. Who would want to ingest walnuts, pomegranate, or green tea (which the FDA is attacking) when these fat calorie-laden, mostly-fried carbohydrates are so widely available? According to the Frito Lay® website, Lays® potato chips are “heart healthy” because the level of saturated fat was reduced and replaced with sunflower oil. Scientific studies do show that when a polyunsaturated fat (like sunflower oil) is substituted for saturatedfat, favorable changes in blood cholesterol occur. Fatally omitted from the Frito-Lay® website is the fact that sunflower oil supplies lots of omega-6 fats, but no omega-3s. The American diet already contains too many omega-6 fats and woefully inadequate omega-3s. Excess omega-6 fats in the diet in the absence of adequate omega-3s produce devastating effects, including the production of pro-inflammatory compounds that contribute to virtually every age-related disease, including atherosclerosis. For the FDA to allow Frito-Lay® to pretend there are heart benefits to ingesting their unhealthy snack products, while censoring the ability of walnut companies to make scientifically substantiated claims, is tantamount to treason against the health of the American public. When carbohydrate foods are cooked at high temperature (as occurs when potatoes are fried in sunflower oil to make potato chips), a toxic compound called acrylamide is formed. In response to these kinds of concerns, the FDA funded a massive study to ascertain the acrylamide content of various foods. The FDA found that potato chips and other fried carbohydrate foods were especially high in acrylamides. As the aging population develops coronary atherosclerosis, pharmaceutical companies stand to reap tens of billions of dollars each year in profits. An obstacle standing in their way is scientific evidence showing that a healthy diet can prevent heart disease from developing in many people. It is thus in the economic interests of pharmaceutical giants that the FDA forcibly censor the ability of companies making heart healthy foods to inform the public of the underlying science. The fewer consumers who know the facts about walnuts, pomegranate, and green tea, the greater the demand will be for expensive cardiac drugs, stents, and coronary bypass procedures. Once again, the FDA overtly functions to enrich Big Pharma, while the public shoulders the financial burden of today’s health care cost crisis. In this particular case, however, processed food companies also stand to profit from the FDA’s attacks on healthy foods as competition from walnut growers is stifled. The FDA and FTC (Federal Trade Commission) are proposing new regulations that will stifle the ability of natural food companies to disseminate scientific research findings. The reality is that natural foods do not carry high prescription drug price markups, so it would be economically impossible to conduct the same kinds of voluminous clinical studies as pharmaceutical companies do. As readers of this column know, many of the clinical studies the FDA relies on to approve new drugs are fraudulent to begin with. So even if it were feasible to conduct more clinical research on foods and supplements, that still does not guarantee the precise accuracy the FTC is seeking. If these agency proposals are enacted, consumers will be barred from learning about new ways to protect their health until a food or nutrient meets stringent new requirements. A look at the warning letter the FDA sent to Diamond Foods is a frightening example of how scientific information can be harshly censored by unelected bureaucrats. If anyone still thinks that federal agencies like the FDA protect the public, this proclamation that healthy foods are illegal drugs exposes the government’s sordid charade. The combined sales of the companies attacked by the FDA are only a fraction of those of food giant Frito-Lay®. Yet some of these companies are fighting back against the FDA’s absurd position that it is illegal to disseminate scientific research showing the favorable effects these foods produce in the body. The makers of pomegranate juice, for example, have sued the FTC for censoring their First Amendment right to communicate scientific information to the public. As a consumer, you should be outraged that disease-promoting foods are protected by the federal government, while nutritious foods are censored. There is no scientific rationale for the FDA to do this. On the contrary, the dangerous foods ubiquitously advertised in the media are replacing cigarettes as the leading killers in modern society. The federal government is heavily lobbied by companies selling processed foods. As many have revealed long ago, an insidious activity of lobbyists is to incite federal agencies and prosecutors to eliminate free competition in the marketplace. 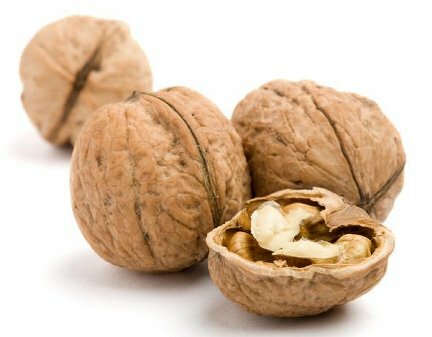 The simple fact is that walnuts are healthy to eat, while carbohydrates fried in fat are not. The FDA permits companies selling disease-promoting foods to deceive the public, while it suppresses the dissemination of peer-reviewed scientific information about healthy foods.